Babette Haggerty has trained Jack Nicklaus' Golden Retriever to bark the number of his major tournament wins on command, and Jimmy Buffett's Maltese to dance on cue to "Margaritaville". 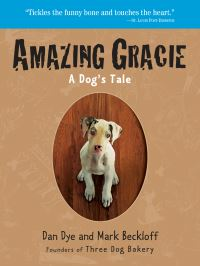 She offers up more than 100 of her best dog tricks, many of them featured by her famous father, Captain Haggerty, on David Letterman’s Stupid Pet Tricks. Step-by-step photos pack the pages showing readers the tricks to the tricks. In no time your dog will not only bring in the paper, play dead and roll over but also count objects, jump into your arms, crawl like a soldier, balance funny things on his or her head and then take a bow. 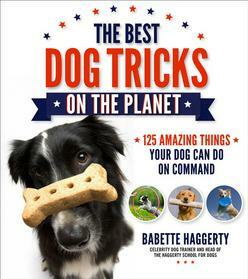 This top-level dog trainer who has coached pooches for celebrities around the country reveals her best 125 dog tricks as inspired by her famous father, Captain Haggerty.